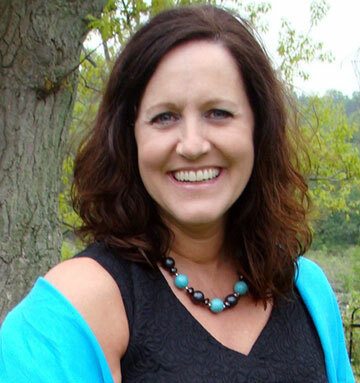 Dyslexia and Learning Solutions Ontario founder, Tracy Trudell, is a licensed and certified Davis Dyslexia Correction® Facilitator and the President of the Davis Dyslexia Facilitators Association of Canada (DDFAC). She works with adults and children all over the southwestern Ontario region teaching them how to overcome their dyslexia and ultimately flourish in their school, work and social lives. After continually hearing from teachers how smart her son was, but that he just did not apply himself enough or was not focused in class, Tracy started looking for answers. A friend told her about a program her nephew had gone through and introduced her to the book The Gift of Dyslexia. After reading it, she found the answers she had been looking for and contacted a licensed Davis™ Facilitator. "We went for an assessment and did the testing. After we'd left, my son turned to me and said, "Mom, that's exactly how I think." Tracy arranged for her son to participate in the intensive week-long program. The results were beyond her expectations as she watched him succeed in his academic and social life. "I thought to myself, I need to learn more about this program. It's so great for my son. Why isn't everybody doing it?" 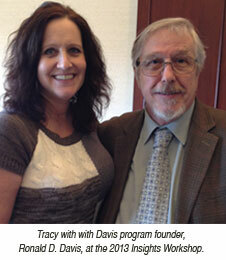 Tracy took a Davis Dyslexia Fundamentals Workshop to learn more. She subsequently decided she needed to become a facilitator herself and empower people with the Davis™ learning methods, which are adapted to each client's unique learning style and personal goals. Tracy is aware that there are many intelligent people struggling in similar ways with reading, writing, spelling, organization, social skills and coordination. She is eager to provide options for them and to return self-esteem to children and adults who are having trouble learning. The intensive Davis Dyslexia Correction Facilitator training is approximately 420+ hours, including practical instruction, field studies, and immersion of facilitation methods during its final POD training weeks. Tracy wrapped up her Facilitator training in the U.K,. where she had the opportunity to meet fellow facilitators from around the world and master the concepts critical to understanding dyslexic clients, including motivation and responsibility. "It's important for adults and children who may be struggling to understand there is help available," says Tracy. "They're not stupid, as they've probably been told time and time again. The Davis Program can make all the difference, allowing your true gifts and talents to shine."